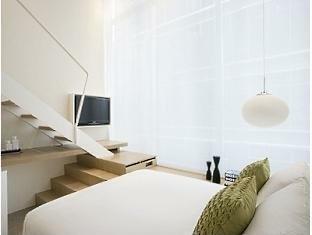 Set in a prime location of Singapore, Studio M Hotel puts everything the city has to offer just outside your doorstep. The hotel has everything you need for a comfortable stay. Facilities like elevator, 24-hour room service, bar, safety deposit boxes, laundry service are readily available for you to enjoy. Coffee/tea maker, non smoking rooms, seating area, internet access – wireless (charges apply), satellite/cable TV can be found in each guestroom. To enhance guests’ stay, the hotel offers recreational facilities such as hot tub, fitness center, outdoor pool. A welcoming atmosphere and excellent service are what you can expect during your stay at Studio M Hotel.